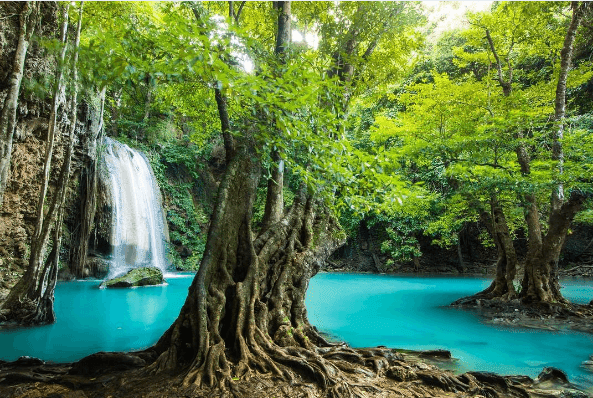 Situated in Kanchanaburi Province, about 128km from the center of Bangkok, Erawan Waterfall, so - called Seven - Layer Waterfall promises to make you overwhelmed by the exhilarating scenery right you step foot in it. 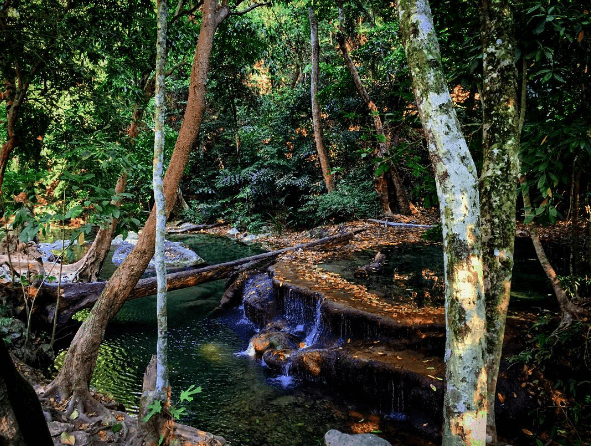 Nestled in a vast valley, surrounded by hills and primeval forests, Kanchanaburi’s weather is cool and fresh throughout the year. There, it is undoubtedly an ideal destination for camping and relaxing activities. 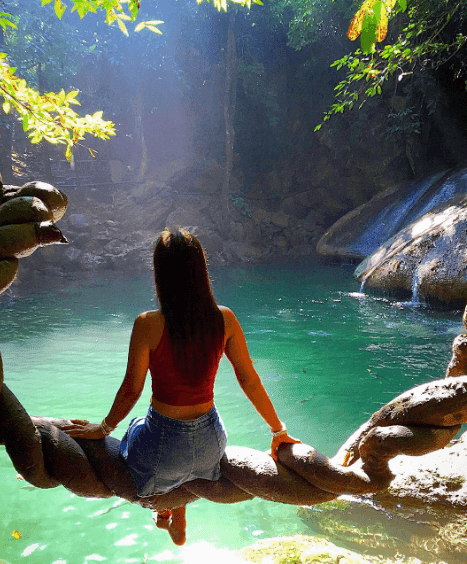 Seizing the title of the most beautiful waterfall in the central region of Thailand, Erawan Waterfall captures the attention of visitors by water flows running down from hills of 2000 meters high and getting into Khwae Yai River. The waterfall is named after the mythical three-head white elephant of Hinduism that lived in Himavarna forest. 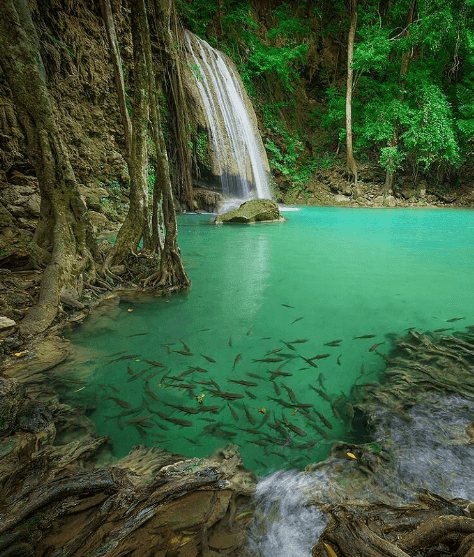 The breath-taking waterfall is located in the lush forest of Erawan National Park. So, to reach this amazing destination, visitors have to go through a winding trail featuring attractive scenes. 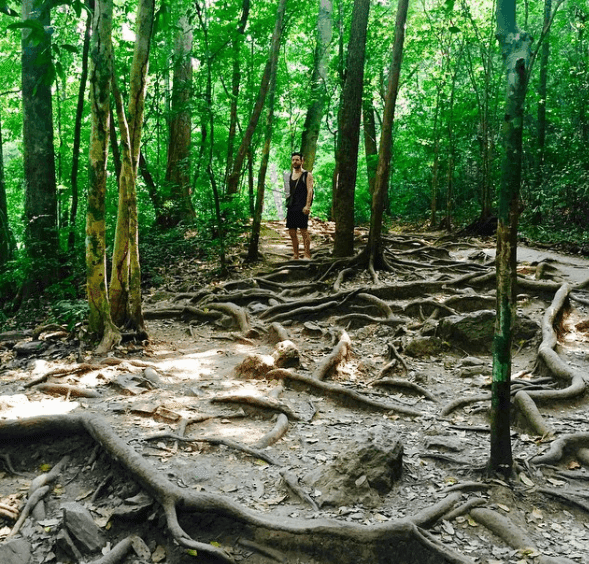 Additionally, you might make a visit to Wang Badan, the large limestone cave which is characterized by colorful stalactites and stalagmites in the west of the park. Kanchanaburi Province is about 128km from the capital of Bangkok. From the heart of Bangkok, tourists might take a bus, coach or taxi in 2 hours to get to Kanchanaburi. 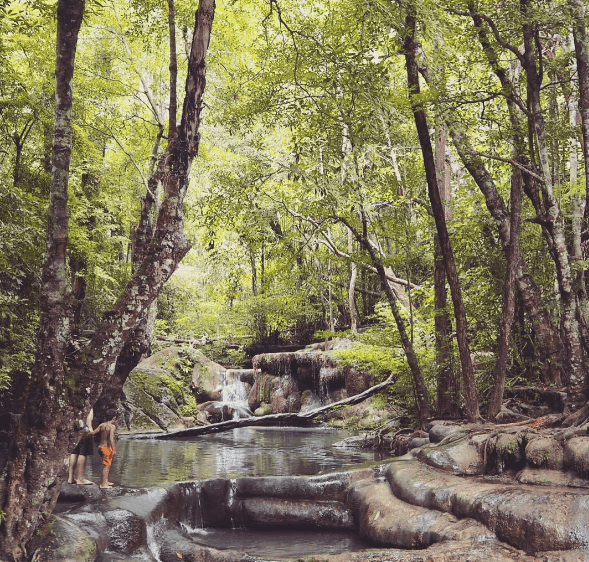 Then, you catch a direct bus to Erawan National Park, which is 70 kilometers to the northwest of the province. Next, it might take you more 3 hours of going through the trail to reach the top of the waterfall and come back. 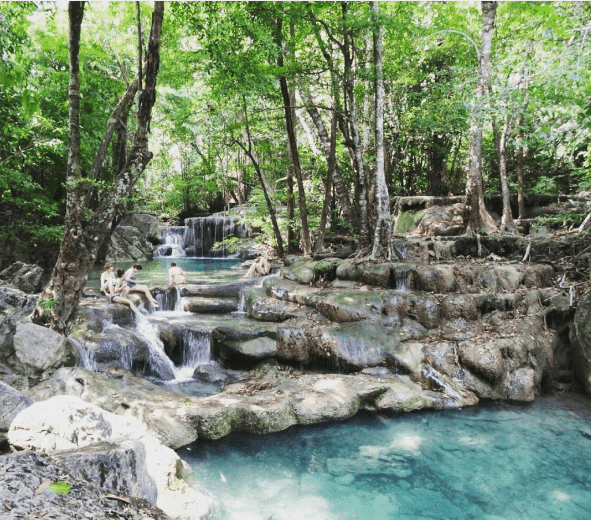 Although Erawan National Park is a popular tourist attraction in the world, it hasn’t been popular with Vietnamese tourists. 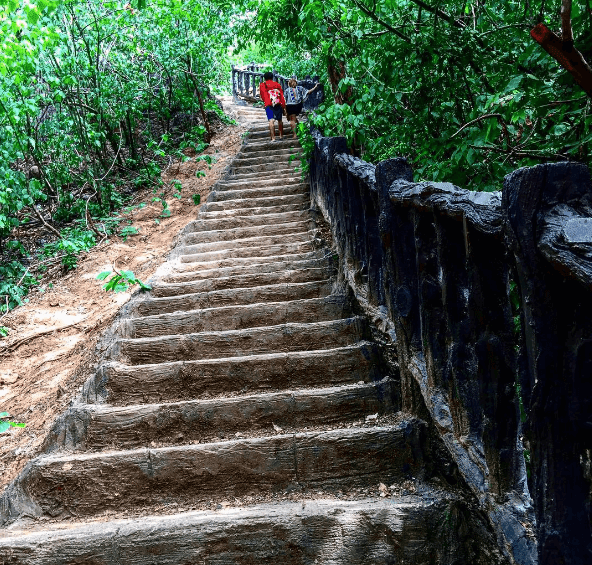 However, it is considered as an ideal destination for those who love adventuring and exploring.